Summer in the UK is usually only ever so slightly different to winter. Yes, there is less rain but really I wouldn’t leave the house without a jacket most of the time. 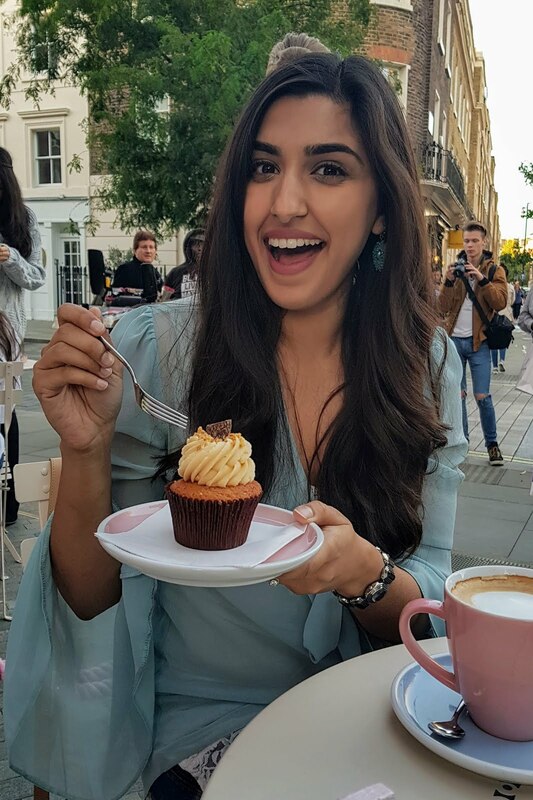 Last week, however, London decided it was the Maldives; only in terms of heat though, the Themes didn’t turn into a brilliant blue and I wasn’t in some breezy villa. I was in my scorching flat! I decided to take some time off work before heading to Glasgow for a break and I was regretting it. What I wouldn’t do for some of that office air conditioning now! My flat is hit by the sun all day, and one side of my living room is one big window so the place heats up like a conservatory. 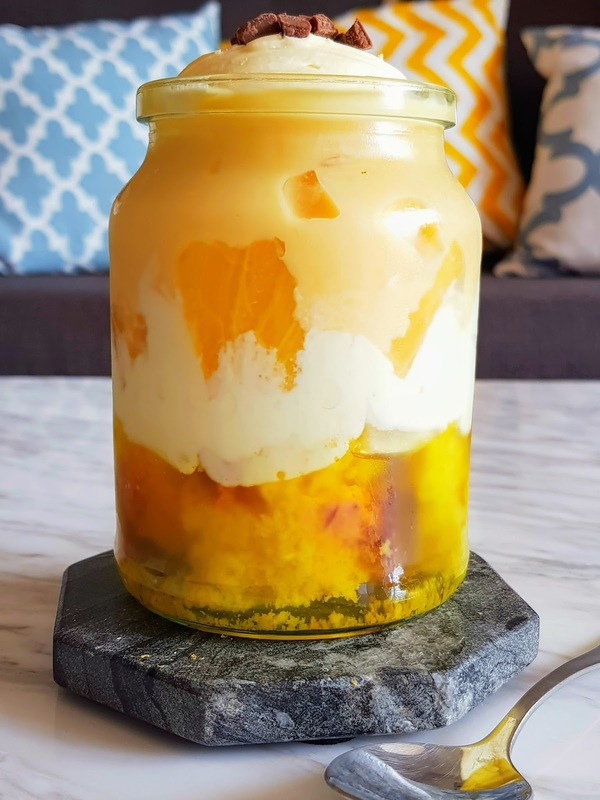 When it's this hot something cool, light and refreshing is all you want (it was time to put my brownies on the back burner) so I decided to make a trifle! This trifle is particularly light, you won’t even notice yourself eating it. It’s cold, creamy and juicy. Yum! 1. Whip together the cream, vanilla and icing sugar until the cream is stiff enough to form soft peaks. Put your cream in the fridge. 2. Cut your cake into bite-size pieces and place the chunks at the bottom of four large glasses. 3. Using the instructions on your packet make your jelly and then pour it over your cake until it is completely covered. Put the cake and jelly in the fridge and allow the jelly to set. This will take 20 – 30 minutes. 4. Once the jelly has set, add a layer of the whipped cream. Keep a ¼ of the mixture aside for the top layer of the trifle. 5. On top of the cream, add a layer of pineapple chunks, then custard and finally another layer of cream before decorating with chocolate chunks. 6. Trifle is only good when it's nice and cold so chill it in the fridge for at least 1 - 2 hours before serving. I tend to keep my ingredients in the fridge before I start making my trifle to cut down on the chilling time. There you have it. 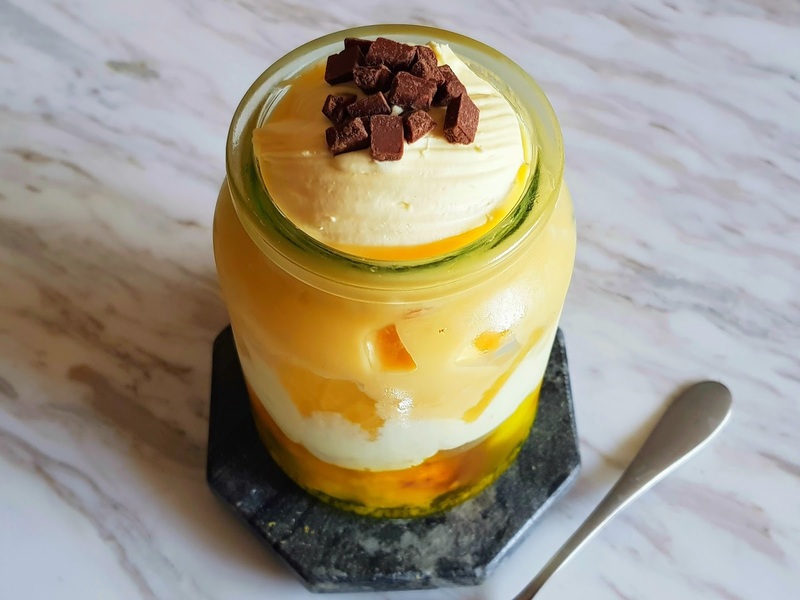 When you think of cream, custard and cake you can’t help but think this will be a big filling dessert but it is so light and refreshing you hardly notice yourself eating it. You have to try it!